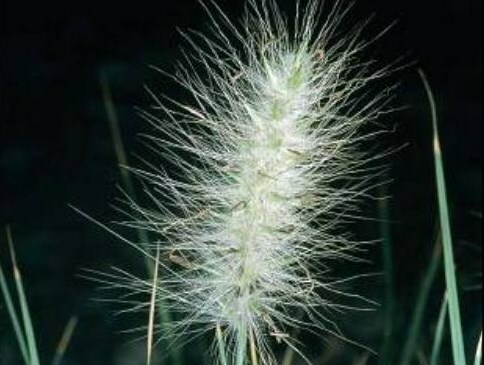 Pennisetum villosum (feathertop) is a perennial grass (family Poaceae) with fuzzy white to light brown flowers and long narrow leaves found in the Sierra Nevada range, central coast ranges and southwestern ranges of California. It is native to Africa. It favors grasslands, dunes, and scrub and chaparral habitat. It spreads via rhizomes and seed. Seeds travel via mud, machinery, water, wind, animals, humans and dumped garden waste.